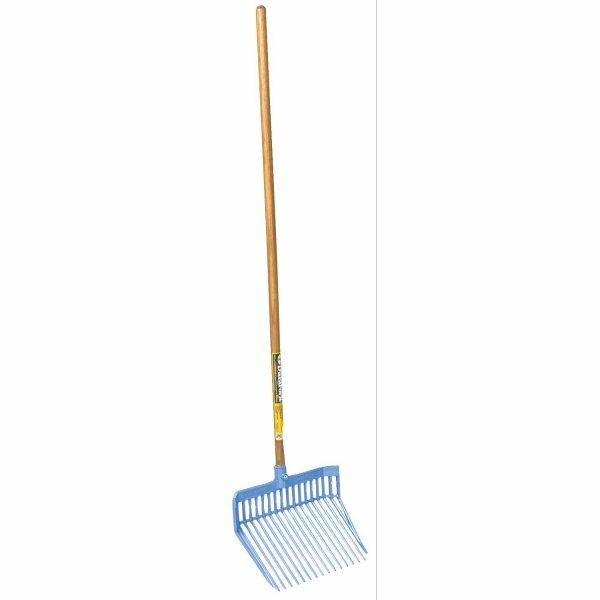 These plastic Duraforks are ideal for cleaning up unwanted debris in barns and stalls and works great around your home or yard. Strong and tines are angled for manure or hay. 52 in. handle. Made from extra strong polycarbonate. Plastic Durafork for Manure has different options and/or variations, please choose below. 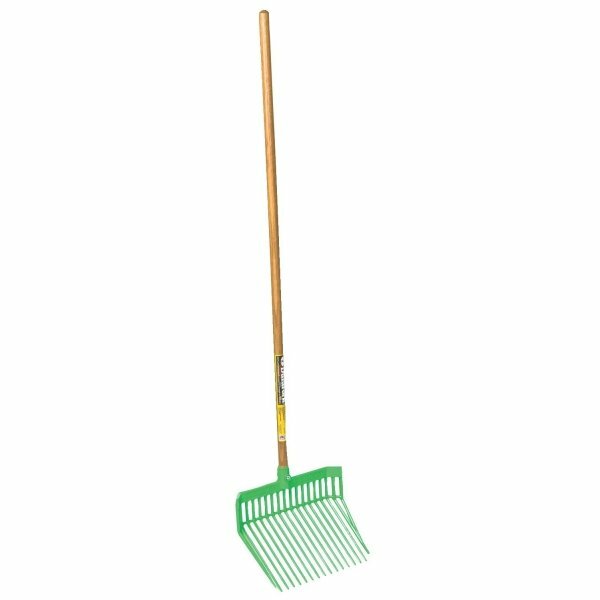 The Durafork is ideal for cleaning up unwanted debris in barns and stalls and works great around your home or yard. The bright colors help to make them stand out and it is made from very strong plastic, so it will last a long time. Made of Polycarbonate that is strong and flexible. Tines are designed and specially angled to up manure or other messes without spilling it. Handle has a nylon locknut to secure it. 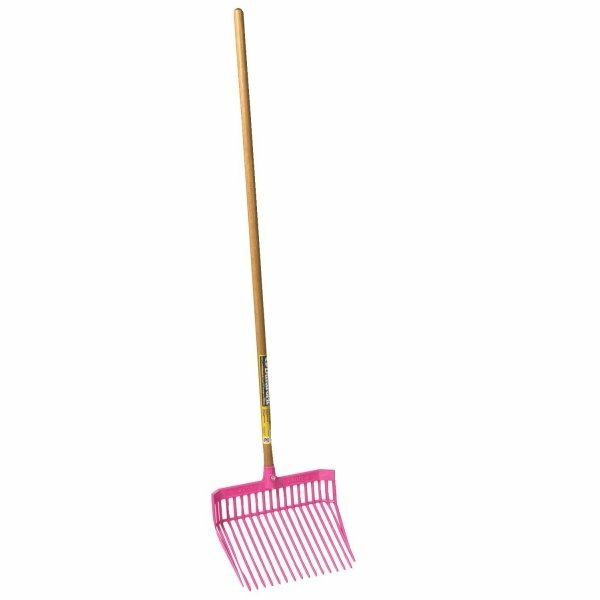 Handle is 52 inches. Fork head is 13 1/8 x 15 1/8 inches (L x W).